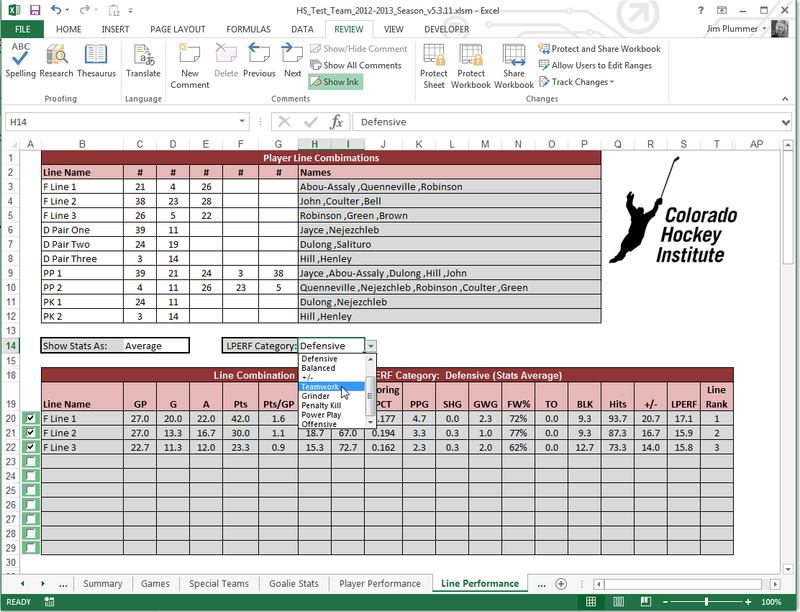 We have just released a new set of tools for coaches to help with tracking athletic performance over the course of a season or a specific training period. The Athletic Performance Tracker is simple to use yet it provides advanced analysis capabilities so that you, the coach, can focus on the athletes and the team training, and not on creating your own complicated spreadsheets. We have done the hard work, you simply have to enter training measurement results and then review the out of the box reports. 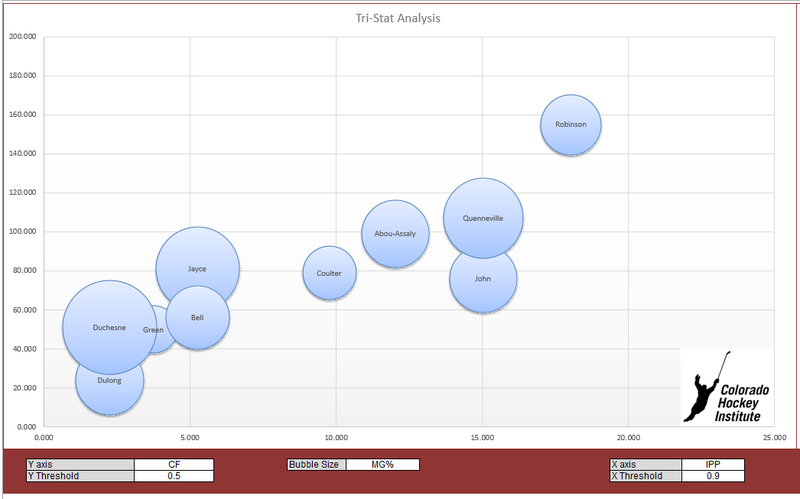 The picture above is just one of the visualization charts that gives you great insight into athletic performance. In this example we are focused on measurement against set goals (team goals, and personal goals). Here we have 12 evaluation tests and results are being displayed for the third and fourth (final) testing session. The thick grey band is an indicator of the benchmark, in this case the Team Best result achieved by an athlete for that evaluation test. If a measurement exceeds the benchmark, the athlete is doing well. The thick pale yellow band is the personal goal that is established for each athlete on each Evaluation Test. 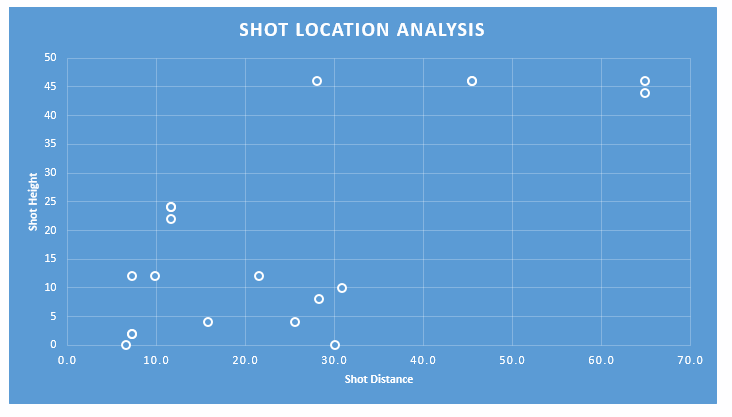 The Evaluation Tests are evenly distributed around the circumference of the chart and move clockwise from the 12 o’clock position in the same order they are specified on the Setup worksheet. This is why it is important to order your tests by Fitness Category because you can visualize the performance and progress of an athlete within a category, (in the example we see improvements in two of the three Speed categories. This chart is an excellent visualization for the athlete as well. Once you have the appropriate view setup, you can print the page or save the page to a PDF file and email it them or use Dropbox or OneDrive to share the PDF output to the athlete. For full details of the Athletic Performance Tracker visit the detailed product overview for the Athletic Performance Tracker. 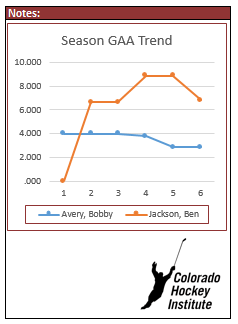 In youth hockey, collecting stats for goaltenders is often overlooked. This impacts the coach’s ability to provide specific and measurable feedback in order to target performance improvement. 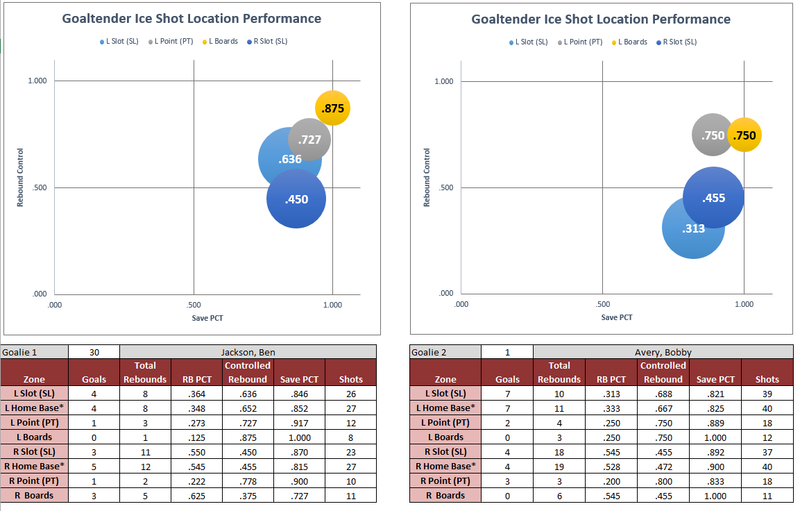 Our Goalie Stats and Analytics package is proving to be very popular because there appears to be a huge void in terms of simple to use tools to help Coaches, parents and specifically goaltenders to understand and measure their performance. 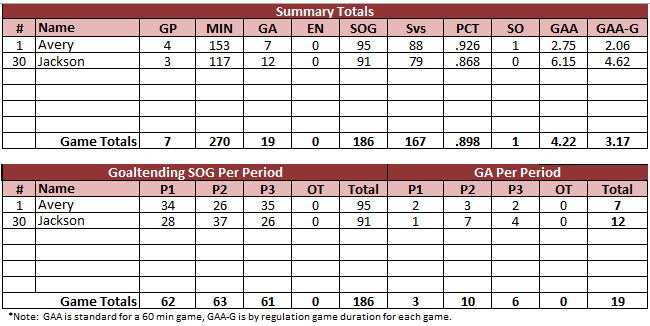 Watch this video to learn more about the Goalie Statistics and Analytics package for Excel.